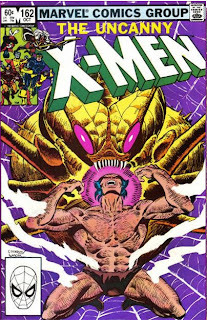 This upcoming month we'll finish up the Brood story and delve deeper into the Paul Smith run in X-Men and wrap up the inaugural story in New Mutants. 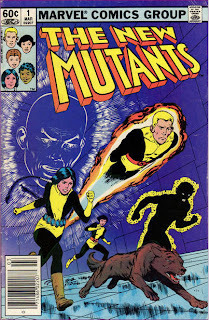 Then we'll be taking a little break from New Mutants to catch up on some assorted X-Men one offs following their return from space (...spoiler?). But, I restructured things a bit from my original plan, and decided that, to get through the one offs and back to New Mutants as soon as possible, I'm going to double up on the one offs this month and cover two per week (one in X-Men's usual spot, the other in New Mutants' spot). That way we'll get back to the regular X-Men/New Mutants pairing right first thing in September. Bart and Homer join the Bigger Brothers organization to spite each other. After Homer forgets to pick up Bart from soccer practice, Bart signs up for a Bigger Brother, pretending to have been abandoned by his father. The part of Tom, Bart's Bigger Brother, was written for Tom Cruise, but he turned down the role, so Phil Hartman stepped in. The New Mutants get acquainted with the school and each other. The New Mutants look on as Shan gets an unwanted haircut from Stevie Hunter. While joking around, Dani accidentally manifests images of Shan's horrific past. Enraged, she attacks Dani until Roberto pulls her off. Frustrated at her lack of control, Dani wanders off, ending up in the X-Men's wing of the mansion. She spends the day tending to Storm's plants before being telepathically summoned to the Danger Room. Meanwhile, in London, Moira and Illyana arrive at the residence Gabrielle Haller, the Israeli ambassador. She asks Moira for help treating her autistic mutant son, and explains that she doesn't want Xavier's help because he is unknowingly the boy's father. In New York, Professor X introduces the New Mutants to the Danger Room, showing them the basic fitness mode as well as an advanced training scenario designed for the X-Men. One by one the New Mutants attempt to cross the Danger Room, but all fail to accomplish their goal. 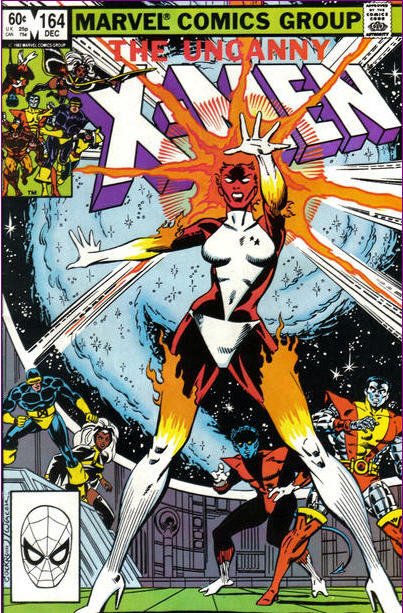 As the X-Men fight to escape the Brood, Binary makes her first appearance. 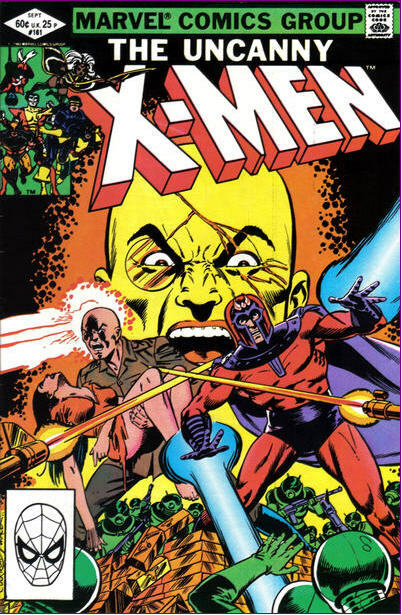 Aboard Lilandra's spaceship, the X-Men are attacked by the Brood, under orders to disable the vessel and capture the X-Men alive. 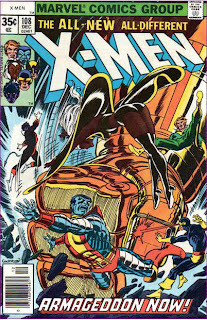 The X-Men fight back using the ship's meager weapons and their own powers, but the Brood manage to damage the ship's warp engine, preventing the X-Men from escaping. As Kitty dons a spacesuit to effect repairs, Carol is overcome by strange sensations. Though wounded by a stray blast, Kitty manages to fix the engine and the ship jumps to warp, though they lose contact with Kitty in the process. Meanwhile, Professor X and Illyana dine together in the newly rebuilt X-Mansion. Professor X worries that he can't read Illyana's mind, afraid she's hiding something, but is still too grief-stricken to press the matter. 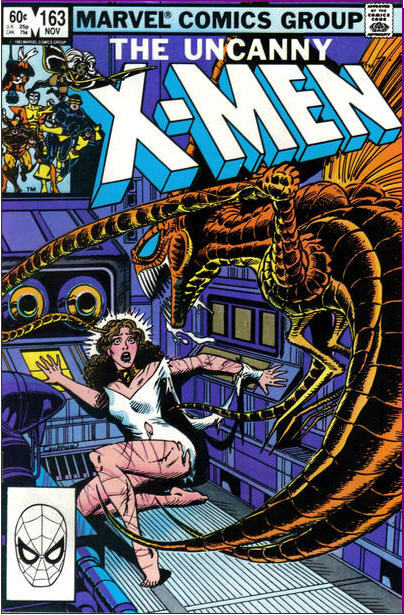 Back in space, Kitty awakens on the hull of Lilandra's ship to find Carol, transformed into the cosmically-powered Binary, outside the ship with her, and is told the X-Men managed to escape from the Brood. Bringing Kitty inside, Carol uses her newfound powers to recharge the ship's power cells. 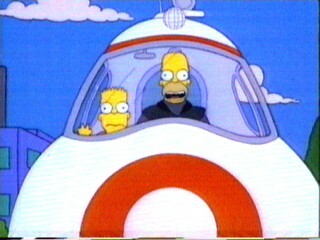 Aunt Selma takes Bart and Lisa to the Duff Gardens amusement park. 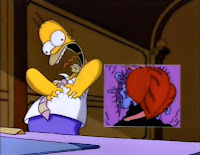 Inspired by the death of a childless aunt, and contemplating artifical insemination, Selma agrees to take the kids to Duff Gardens after Homer gets food poisoning from a rotten sandwich. 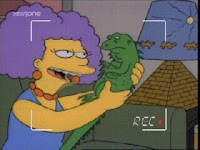 This is the first appearance of Jug-Jug the iguana, who becomes Aunt Selma's pet (and fills the void in her life). 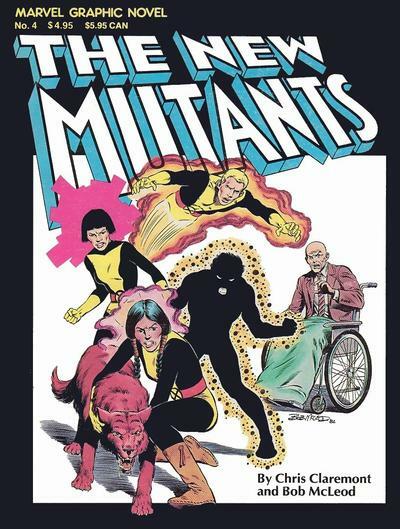 After they are targeted by Donald Pierce, Professor X somewhat reluctantly takes on a new class of young mutant students. In Scotland, Moira MacTaggert rescues a young mutant werewolf named Rahne, and decides to take her to Charles Xavier. In Brazil, Roberto Da Costa gets into a fight at a soccer game, causing his super strength to manifests, frightening the crowd. In Kentucky, Sam Guthrie arrives for his first day of work in the coal mines, only to be caught in a cave in. In order to save a co-worker, he blasts out of the mine like a cannonball. In Colorado, a young Native American woman named Moonstar is told by her grandfather Black Eagle that he's sending her to study with Charles Xavier to gain control over her psychic mutant abilities. 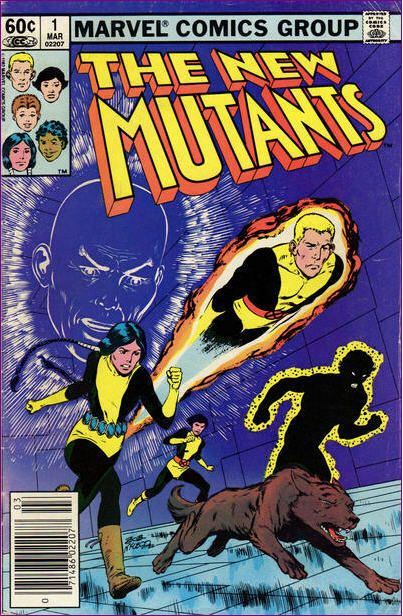 Donald Pierce, having split from the Hellfire Club and captured his former associate Tessa, monitors these activities, and decides to strike against these new mutants and Professor X. The X-Men escape from the Brood home world. As the Brood experiement on Carol Danvers, performing evolutionary modifications and altering her physiology, Wolverine sneaks into the palace and frees her. Back on Earth, Havok and Corsair teleport onto the grounds where the mansion is being rebuilt, confirming for Moira and Polaris that the X-Men and Lilandra have been kidnapped by the Brood, the price of an alliance which has given Deathbird the Shi'ar throne. Corsair departs with the Starjammers, determined to either rescue or avenge his son. A galaxy away, Cyclops awakens from a dream in which the X-Men transform into Brood to find Storm similarly entranced. He awakens her, and with the Brood's illusion fading, they encounter Wolverine and Carol. Freeing the rest of the X-Men, the team splits up, with half going to rescue Lilandra while the rest try to board Lilandra's starship, docked just outside the atmosphere of the planet. This Friday sees the release of The Dark Knight Rises, the third film in Christopher Nolan's acclaimed Batman trilogy, featuring Christian Bale as Batman and Captain Picard's clone as Bane, that guy in the trailers with the speaker over his mouth you couldn't understand very well at first, but now can. With the film poised to make all the money, ever, and since, relative to the likes of the Joker or Penguin, Bane is a pretty unknown Batman villain, I figured he was worthy of some discussion (and also be sure check out Dr. Bitz's 100% accurate rundown of Batman himself here. 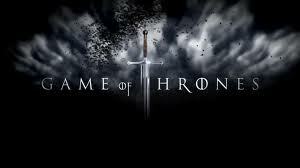 Don't forget to click on the pictures). Bane has trained himself to peak human physical condition, and when augmented by the drug Venom, his strength, speed, agility and durability is pushed to super-human levels. 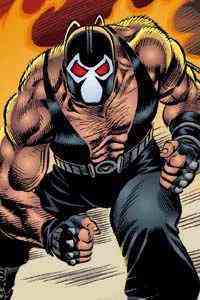 Bane also possess a genius-level intellect and is a master strategist and martial artist. 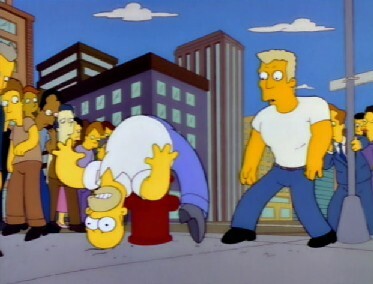 Springfield disastrously builds a monorail. After Mr. Burns is fined for dumping toxic waste in the city parks, the town debates what to do with their sudden windfall, ultimately agreeing to pay a slick salesmen to build the town a monorail. This episode was pitched and written by Conan O'Brien, and he has cited it as his favorite episode of the episodes he's written. 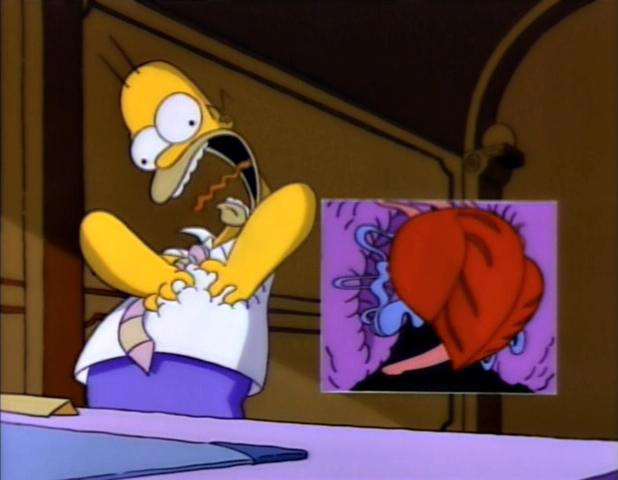 After a series of heart attacks brought on my unhealthy eating and stress, Dr. Hibbert tells Homer he will need to have a triple bypass. The Cops parody that opens the episode was added to increase the run time of the episode. 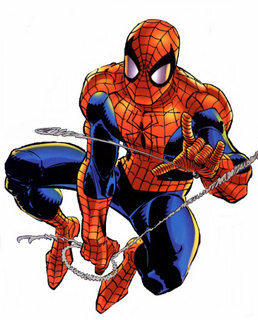 While pretty much everyone agrees it's somewhere between dubious and ridiculous to reboot a film franchise only five years after the release of the last film, that doesn't change the fact that tomorrow sees the premiere of The Amazing Spider-Man, Sony's reboot of its Spider-Man franchise, featuring that British Facebook guy as Peter Parker and the fetching Emma Stone as Gwen Stacy. 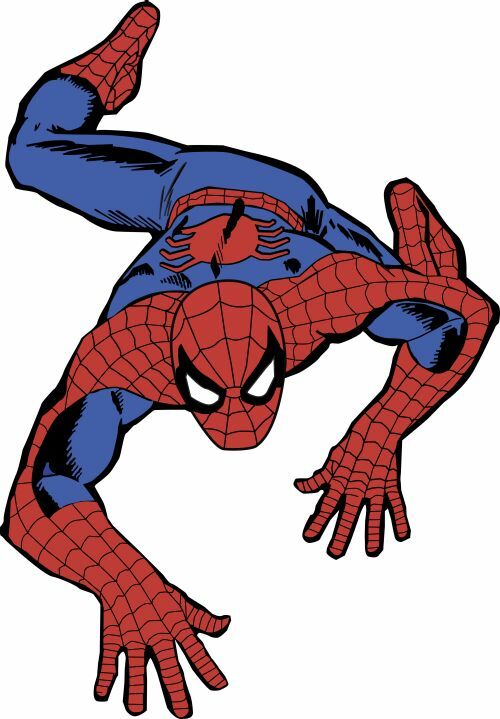 Putting aside the relative merits of a reboot or the film itself, at the very least, it gives me an opportunity to take a long overdue look at Marvel's resident Webslinger. Spidey, Webslinger, Scarlet Spider, Ben Reilly, Ricochet, Prodigy, Dusk, Hornet.